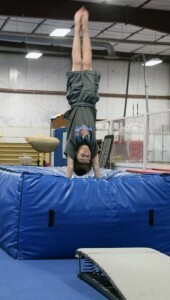 Starting July 7th Madtown Twisters will be starting a developmental trampoline and tumbling team! Teams are coed and are for ages 6-18 (times vary depending on age). Classes will focus on skill and routine development on Trampoline, Tumble-Trak and Floor, and will include exercises for strength and flexibility. Trampoline is great exercise as well as great fun! $75.00/month 1 day/week $115.00/month 2 days/week First month is 50% off! !